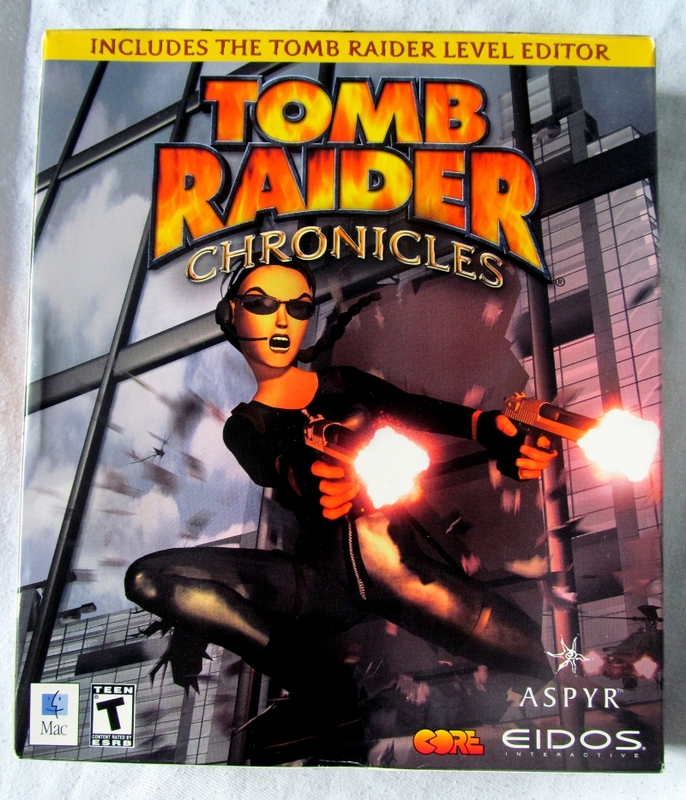 TOMB RAIDER CHRONICLES MAC US US big box release of Tomb Raider: Chronicles for the Apple Mac released in 2000. 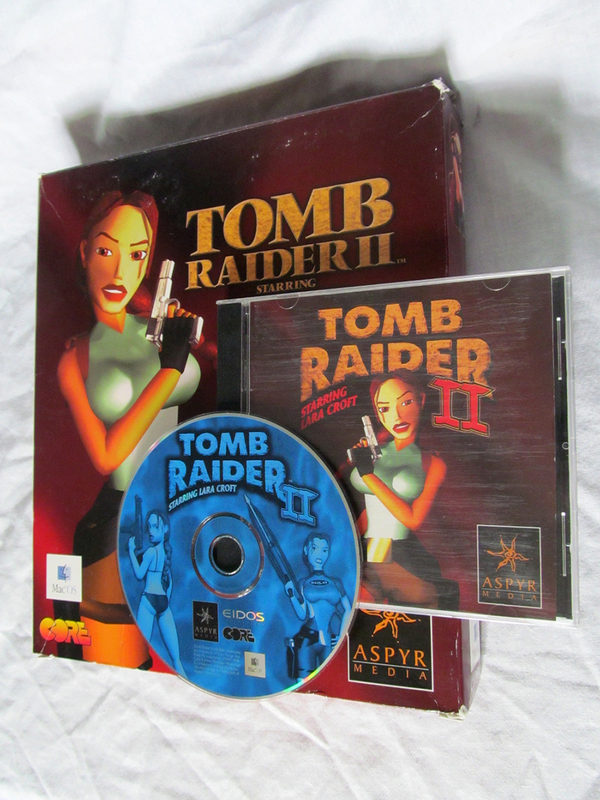 TOMB RAIDER II MAC UK Tomb Raider II as released on the Mac in the UK in 1998. Notably the dragon is missing from the box cover and the manual cover is that of the US box art. 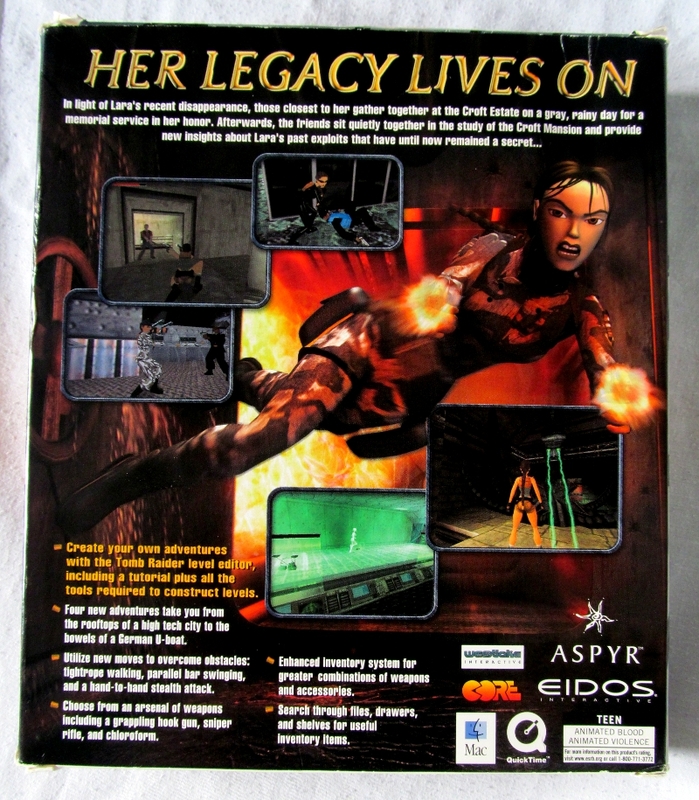 TOMB RAIDER THE LAST REVELATION UK big box release of Tomb Raider: The Last Revelation for Apple Mac as released in 2000. 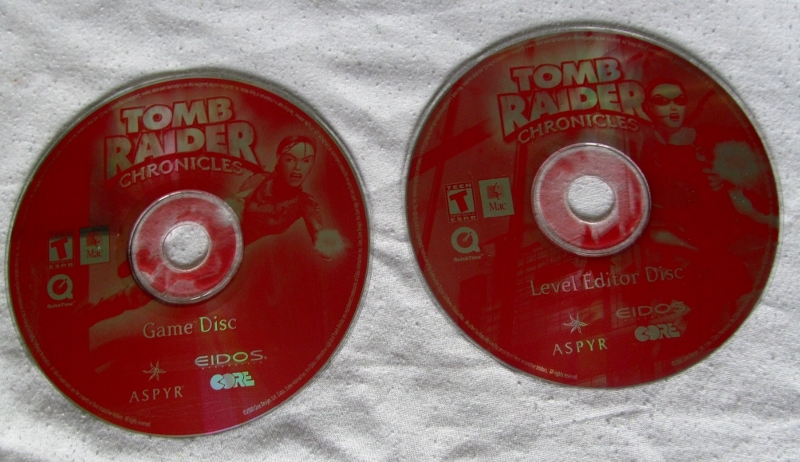 © Core Design, Lara Croft and Tomb Raider are trademarks of Square Enix Ltd. All rights reserved.